Virtual Items are things you sell that you haven’t bought or assembled as stock to make available for sale. Generally, they are not physical items, but you still wish to buy/sell them and keep a record of their transaction history. Note that ‘Virtual’ should be selected also for types such as labour, time so they can be included in Combo Items as well. There are still availability/capacity constraints but they might not be as rigid and reconcilable as traditional inventory where you need to buy one widget for each one that you sell. Virtual Items begins to deal with question such as; How many Gym Memberships can I sell with my given infrastructure and staffing? How can I use Virtual Items? 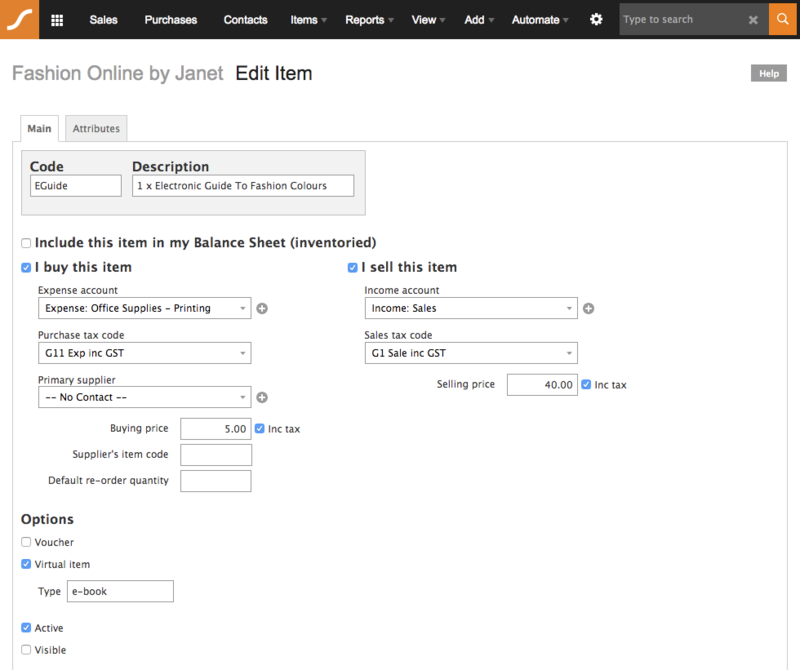 Firstly, setup a virtual item through Add > Item and then in the item setup screen make sure you tick the ‘Virtual’ box.